After a stroke, many people continue to experience weakness in the arm for weeks, months, or longer. While extra therapy can help improve this condition, the best therapeutic approach remains uncertain. UC Irvine is currently the lead site on a multi-center National Institute of Health-funded study to compare therapy provided in a clinic with therapy provided at home via a computer. 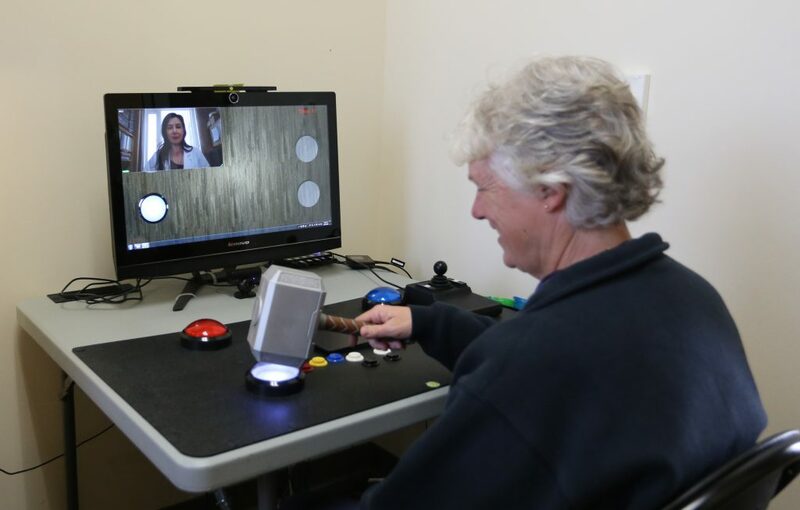 Led by Dr. Steven C. Cramer, this rehabilitative study will examine the effectiveness of a telemedical therapy system. For more information, please visit clinicaltrials.gov and search for the ID#NCT02360488 or click here. The proposed studies will examine how genetic polymorphisms interact with rehabilitation therapy and with stress to affect treatment-induced recovery after stroke. In this research, we build on our prior work and take a unique approach to understanding therapeutic response in stroke survivors. The team will study how stress and specific genetic factors are related to the response to rehabilitation therapy, and the maintenance of these gains over time. Given the wide variability in therapy-induced recovery after stroke, the current studies may provide insight into biological factors underlying recovery processes, and so may help individualize rehabilitation care.